Context, they say, is everything. 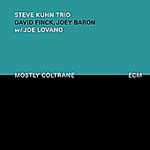 With nearly 50 albums as a leader in a career that now spans 55 yearsand stints with everyone from saxophonist Stan Getz and flugelhornist Art Farmer to trumpeter Kenny Dorham...even a brief stint with saxophonist John Coltranepianist Steve Kuhn's best and most varied work has been across the now-ten albums recorded for ECM. 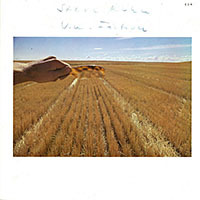 You need only look to Life's Backward Glances: Solo and Quartet (ECM, 2008)the box collecting 1975's solo piano outing, Ecstasy; 1977's Motility, with his Ecstasy group; and 1980's Playground, the first of two recordings with singer Sheila Jordanfor a localized example of Kuhn's far-reaching outlook on the label that brought transparency and pristine sonic clarity to the jazz world. Wisteria looks like a standard piano trio outing in contrast to the stellar Mostly Coltrane (ECM, 2009), Kuhn's tribute to his erstwhile employer, with Joe Lovano more than ably filling the tenor chair with a distinctly personal approach. But with electric bassist Steve Swallow replacing Kuhn trio regular, double bassist David Fincke, Wisteria becomes something else again. Sure, Swallow does what a bassist should do (should do, being a dangerous phrase when used to describe players of this caliber): anchor the groove and swing with aplomb. 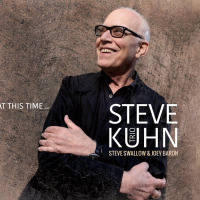 But his warm electric instrument, so often played in the upper register, often crosses into guitar range, making Swallow a more pervasive melodic foil for Kuhnand one who, like Kuhn, has, by this time in his own 50-plus year career, got nothing left to prove. Likewise drummer Joey Baron, at 56 the relative babe of the group despite collaborating with Kuhn since 1996's Remembering Tomorrow (ECM). In addition to bringing a fresh perspective to four tracks first recorded on Promises Kept (ECM, 2004)his thankfully non-saccharine "with strings" projectKuhn revisits two tracks from outside his ECM work. The comfortably swinging "Chalet," first heard on Countdown (Reservoir, 1998), opens Wisteria with a rubato intro that, by now, has become something of a Kuhn trademark, while the more intense "A Likely Story," from the Japan-only Temptation (Venus, 2003), is driven here by Swallow's near-relentlessly walking bass, peppered with Baron's sharp punctuations. It features one of Kuhn's most flat-out expressionist solos of the set, filled with a kind of unshackled virtuosity that makes his underrated position on the totem pole of important jazz pianists of the last half century an ongoing mystery. Kuhn has all the chops he needs, when he needs them, but never at the expense of building solos of spontaneous construction, always imbued with a distinct sense of form and purpose. 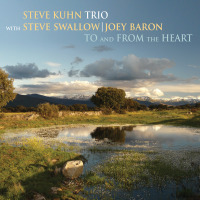 Swallow's reputation as an electric bassist nonpareil is matched only by his renown as a composer with more than one tune a part of the jazz lexicon. Still, the Latin-esque "Dark Glasses" and buoyant closer, "Good Lookin' Rookie," will be new to even the most studied Swallow-phile. Carla Bley's equally little-known ambler, "Permanent Wave," and Art Farmer's balladic title track round out a program of eleven songs that make Wisteria yet another milestone in Kuhn's discography, and a more than worthy follow-up to the critically acclaimed Mostly Coltrane. Track Listing: Chalet; Adagio; Morning Dew; Romance; Permanent Wave; A Likely Story; Pastorale; Wisteria; Dark Glasses; Promises Kept; Good Lookin' Rookie. 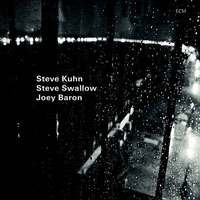 Personnel: Steve Kuhn: piano; Steve Swallow: bass; Joey Baron: drums.